Hi everyone! We are joining Athena’s Caturday Art Blog Hop and Rascal and Rocco’s Pet Parade. Sammy has a party to go to tomorrow at Cat Scouts. All the Scouts are dressing up as their favorite kind of dog so Sammy decided to be a hot dog. I used faceinhole to make this. My niece and The Great One made me cupcakes for my birthday so I used them for my art. I used ribbet to make the photo into a polaroid. This is our art for today. I don’t know why I thought a 2 and a half year old could do button art. It actually isn’t bad, it just doesn’t look like Peppa the Pig, well, maybe after a tornado. I am going to try to make one for her, but I have a feeling mine won’t look like Peppa either. Once again Joanie was a willing model. She is sporting ear muffs, a flower headband and a straw hat. And for anyone interested, we made a puzzle for The All Star Game this week. I used Lunapic to edit Brody’s photo with the floating effect. He is enjoying a new toy that we will tell you about next week. Hi everyone! 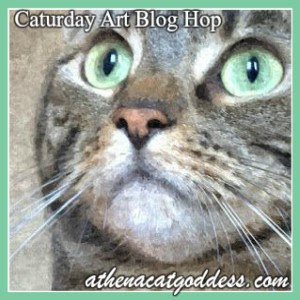 We are joining Athena’s Caturday Art Blog Hop and Rascal and Rocco’s Pet Parade. We also want to wish Athena’s mum a very Happy Birthday today! I used Lunapic to cartoonize the photo of Penny and Millie in their boxes. I wanted a thought bubble over Penny’s Head, but this is the best I could do. Our art today was made by The Great One. My sister bought t-shirts to paint and I found a cool idea on Pinterest to make fireworks. I think she did well for a a two and a half year old.. To see the instructions on the Crafty Morning Blog, click here. Then Joanie and The Great One played Dr. They are working on Grumpy Cat. Joanie amazes me, such a sweet kitty. Joanie made some more tummy art with Luna Pic, Van Gogh, Beauty effect. Poor Joanie gets her tummy snorgled daily, I just can’t help myself. HI everyone.Sadly, another one of our kitty friends left for The Rainbow Bridge. Sweet Minchie of Cat-a-Holic. To visit his family, click here. 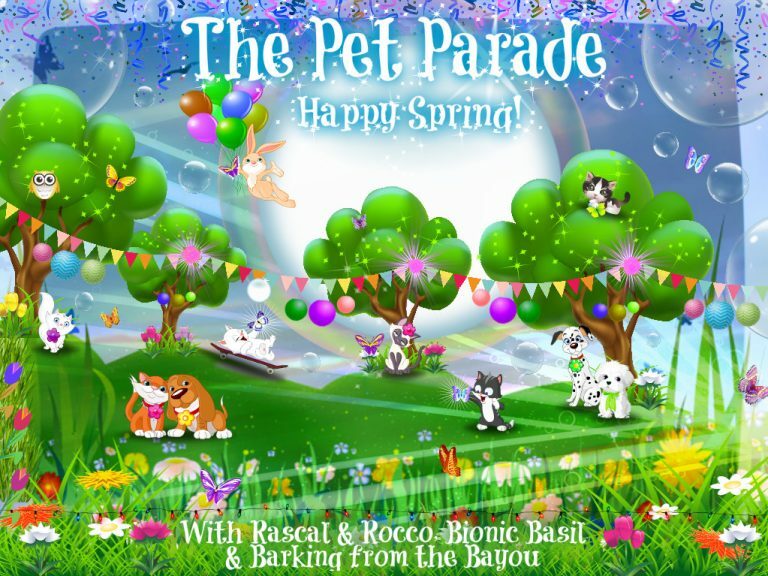 We are joining Athena’s Caturday Art Blog Hop and Rascal and Rocco’s Pet Parade. Eastside Cats asked Penny for another puzzle so we hope this counts as our art. The other day, I had a bunch of strawberries spread out on a cookie sheet to ripen and my Mom asked if I was setting up another puzzle like the penny one. I wasn’t, but that was a good idea so thanks Mom. It took me 49 minutes, I guarantee you that you will beat that time. Hi everyone! 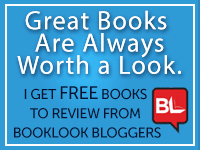 We are joining Athena’s Caturday Art Blog Hop and Rascal and Rocco’s Pet Parade. Joanie knows you all love her tummy so she thought you would enjoy a gallery of photos of her tummy. Hi everyone! 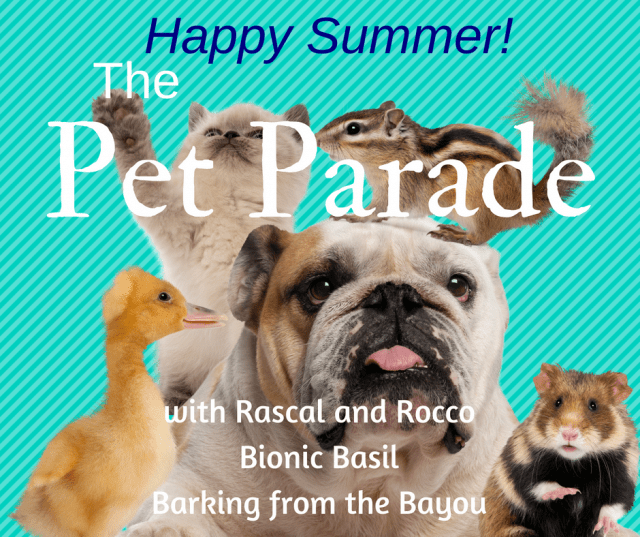 We are joining Athena’s Caturday Art Blog Hop and Rascal and Rocco’s Pet Parade. Basil, one of the hosts of the Pat Parade is not feeling well, please purr and pray for him. We are also joining the Appreciate the Moments blog hop hosted by Everyday Dog Mom and Dog Mom Days. The word this month is summer and nothing says summer like a kitty in a bikini. I love this badge that Ann of Zoolatry made for us back in 2015.